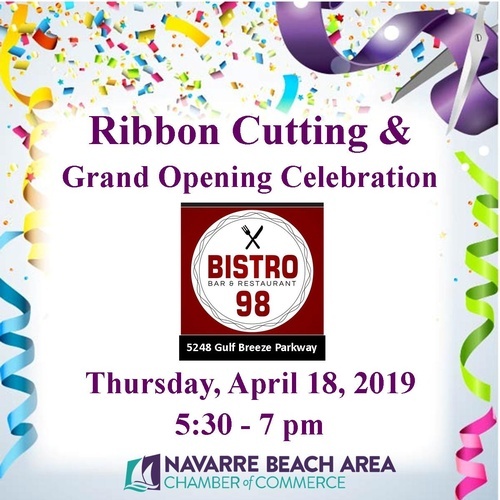 Everyone is invited to attend the Ribbon Cutting & Grand Opening Celebration for Bistro 98 - now under new ownership!! We will be cutting the ribbon at 5:30 pm, and then enjoying pizza that they recently added to their menu. The new owners, Mike & Lynne Maurer, took ownership of Bistro 98 on December 13, 2018, and they have been very busy adding new menu items - including beer & wine. And, they recently added a separate meeting space room at Bistro 98.